Developing advanced body-worn sensing and computing technologies for diagnostic testing. With dozens of decades of combined expertise in spearheading diagnostic solutions, our team of medical, technology and healthcare experts is singly focused on developing innovative, patented technologies for cardiology, respiratory and other complex disease states that are uniquely designed to enhance clinical efficacy to the benefit of patients and physicians. Our medical devices and systems are created to be physician- and patient-centric, utilizing the most advanced algorithms and software that provide improvements in mean time to diagnosis and treatment. An industry-leading executive in the field of cardiac diagnostics and medical devices, he most recently served as CEO of PhysioSonics and prior to that had senior positions with Data Critical (acquired by GE Medical) and Instromedix. Mr. Harlow is Chairman of CBC Partners, a private commercial lender, and also Managing Director of B.Harlow & Associates, LLC, a firm that has helped raise over $250 Million for cardiology and med-tech companies and provides strategic consulting to senior management. With broad operating, product development, strategy and regulatory/quality experience, Mr. Odell has held executive positions at General Electric, Medtronic, Analogic Corporation and Siemens. Prior to working with Cardiac Insight, he was CEO and COO of Cardiac Science Corporation and Criticare Systems Inc., leaders in the defibrillation and patient monitoring markets. 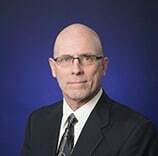 With almost 30 years of experience in accounting and finance., Mr. Schuh was most recently (from 2000 until 2010) Vice President, Finance and Chief Financial Officer of SonoSite Inc., the pioneer and leader of point-of-care hand-carried ultrasound. During his tenure, worldwide sales grew from $10 million to $275 million and employees from 100 to 900. Dr. Hadley has over 30 years of hands-on experience blending customer needs with information technology through research and development. He spent nine years as Vice President of Research and Development for Quinton Cardiology. In this role, Dr. Hadley was responsible for rebuilding the engineering team, establishing robust new product architectures and developing the next generation of Quinton and Burdick diagnostic ECG products. Prior to his role at Quinton Cardiology, Dr. Hadley was with Primus Knowledge Solutions and Sierra Geophysics. He earned his PhD from the California Institute of Technology. 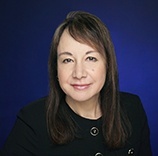 A healthcare marketing strategist and innovator, Ms. Demaree brings more than twenty-five years of medical device and healthcare IT industry consulting and commercialization experience, including marketing and corporate business development leadership roles at Welch Allyn, CapsuleTech and numerous other disruptive medical technology start-ups. 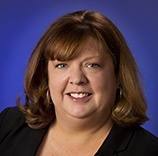 Ms. Sprouse has a broad background in sales management, marketing, and product development. Most recently, she was the Vice President of Sales and Marketing for Syncroness, Inc., an engineering services company specializing in development of medical device and aerospace products. Prior to that, she held leadership positions at Medtronic in the Neuro, Spine, and ENT groups and at Cardiac Science Corporation and Criticare Systems Inc., leaders in diagnostic cardiology, defibrillation, and patient monitoring. A 20-year veteran in medical device development, Mr. Tylutki has driven product development management, project management, medical device quality systems and regulatory affairs for a variety of industry leaders, including Varian Medical Systems, Wavtrace, Mindplay, Northstar Neuroscience, Light Sciences Oncology, where he was particularly effective leading engineer teams through the entire product development lifecycle. With a master’s in electrical engineering, Mr. Tylutki brings his FDA class II/III medical device development to Cardiac Insight, where he is motivated to fulfill a personal mission to enhance quality of life for patients and their families. Kurt Noltensmeyer brings over 20 years of experience in electrical engineering at industry-leading medical device companies. At Medtronic, he implemented a process that increased both manufacturability and profit margin. 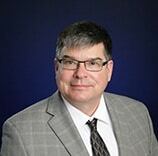 Kurt has extensive experience in managing engineering departments and cross-functional teams. He was appointed Engineering Leader for the CAPA Board from 2008 through 2015 and has received multiple certifications in management training programs. Kurt holds a Master’s of Science degree in Electrical Engineering from Southern Illinois University Edwardsville. 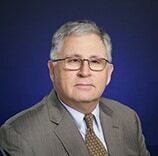 Richard O. Martin, PhD., was formerly President and Chief Executive Officer of Physio-Control International. 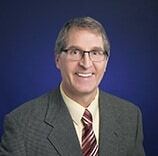 Martin joined Physio-Control as President in 1991, when the company was part of Eli Lilly’s Medical Devices Division. Dr. Martin’s former positions include as a Vice President of SulzerMedica, Inc., and President and COO of Positron Corporation, a medical diagnostic imaging equipment company. Martin has a Ph.D. in electrical engineering from Duke University, an MSEE from the University of Notre Dame and a BSEE from Christian Brothers College. 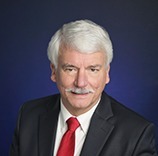 Dr. Hauser, Chair of the Cardiac Insight Scientific Advisory Board, is former President of the Heart Rhythm Society, a senior consulting cardiologist at the Minneapolis Heart Institute®, and past president of the Cardiovascular Services Division at Abbott Northwestern Hospital in Minneapolis. Dr. Hauser’s major career research interest is the safety and efficacy of implantable pacemakers and defibrillators. He has published multiple papers regarding the reliability and performance of implantable cardiac rhythm management devices. Dr. Hauser is also actively engaged in innovations in arrhythmia detection, particularly atrial fibrillation, in at-risk populations. A professor of medicine at Stanford University and cardiologist to Stanford University athletes, Dr. Froelicher is respected worldwide for his knowledge about cardiology, exercise, computerized electrocardiography and the cardiovascular system. Dr. Froelicher has been director of the ECG and Exercise Testing Laboratories at the Palo Alto Veterans Affairs Health Care System since 1992.Previously, he served 11 years in the U.S. Air Force and as Chief of Cardiology at the Long Beach Veterans Affairs Medical Center and principal investigator of the NIHLBI randomized trial of cardiac rehabilitation called PERFEXT. John Camm is Professor of Clinical Cardiology at St. Georges, University of London, and Professor of Cardiology at London’s Imperial College. He is a Fellow of the Royal College of Physicians, and an experienced researcher and clinician focused on addressing specific issues associated with atrial fibrillation, other cardiac arrhythmias and sudden cardiac death. Professor Camm has led a top group of specialists, the European Network for Translational Research in Atrial Fibrillation (EUTRAF). He is currently President of the European Heart Rhythm Association and the Arrhythmia Alliance. Albert L. Waldo, MD is The Walter H. Pritchard Professor of Cardiology, Professor of Medicine, and Professor of Biomedical Engineering at Case Western Reserve University School of Medicine, Cleveland, Ohio. He is also Associate Chief of Cardiovascular Medicine for Academic Affairs at University Hospitals Cleveland Medical Center. He is a Fellow of the American College of Cardiology and served as President of the Ohio Chapter; former President of the North American Society of Pacing and Electrophysiology (NASPE), now called the Heart Rhythm Society (HRS); a Fellow and founding member of HRS; a Fellow of the American College of Physicians, American Heart Association and the American College of Chest Physicians. Dr. Waldo served as President of the Cardiac Electrophysiology Society and has held committee memberships with the National Institutes of Health. Early testing can avert disaster, but false positives are stressful and costly. Now there’s a solution…from a company called Cardiac Insight.